So this is a little different than the usual comparing my favourite red lipsticks or high end mascaras, but I thought it was something I should probably explain in a little more depth - I mention it occasionally on my Instagram and most of you probably have no idea what I'm talking about or why I had it, but let's get into it! On the 5th August 2014, I underwent one of the most painful and complex orthopaedic procedures going (thank you body for needing that and doctors for letting me know!) called a 'femoral Derotational Osteotomy'. For those of you who don't know what this is, it's pretty much surgery involving cutting the thigh bone (or femur) and repositioning the ball of the femur into the hip socket, sounds lovely right? In my case, the thigh bone was turned in around 10 degrees so that instead of my foot being permanently turned out like it was before, it was facing forward in a more natural position. The healing two parts of bone are held together with a rather large metal plate, and leave you with a lovely 8inch scar down the side of your thigh, not my favourite part I must admit! Medical drivel aside, around a year before the procedure I started noticing pretty awful pain in my hips and thighs, particularly after dance classes like acro, since it's pretty strenuous on these places. After going to physio after consultant, in summer 2013 I was told that if I wanted to continue dancing past the age of about 20 (because this was one of the main causes of how my femur was getting damaged and slowly grinding down - causing the pain and potentially future arthritis) this would be nesessary. Obviously as a keen dancer I was beyond devastated, I never thought my hip pain was this serious and I just wished it would all go away. However, a year later, I was putting the pointe shoes away for the next few months and heading to hospital. As you can imagine before the surgery, I was pretty terrified since I'd never had to do anything like this before, and before I actually went into the theatre it all dawned on me - when I woke up from the anaesthetic, my life would be dramatically changed for the next few vey long months. Since my leg was broken and reset, even standing up the day after my operation was one of the biggest struggles I've had to overcome, I felt like Bambi on my new set of legs because that was almost what it was, I wasn't used to my body being in a different position. I remember almost passing out when I first stood up, and breaking down immediatly, thinking how on earth I was going to dance again freely like before when I can't even take a few steps now? However, I am pretty stubborn and was managing to walk with a very fetching granny walking frame and attempting stairs, not without pain or difficulty but hey, it was all baby steps. The first few weeks after were pretty agonising if I'm honest, it was excruciating to even bend my leg to sit down and I couldn't comfortably get in and out of the car for a long while, keeping positive was pretty difficult and I was not a pleasant lady at the time! I had to use crutches for the next 2 and a half months, which got super tiresome because I was told to walk normally but to just use the crutches for support - so it looked like nothing was wrong with me! When I finally was allowed off the crutches, it was the biggest relief and I finally began to feel a bit more like my old self, and a step closer towards dancing again. In late November, I went back to see the consultant who did the surgery, who discharged me from their visits and said that if I wanted to gradually go back to dancing, it would be okay. You have no idea how happy that made me, and after Christmas on January 5th, I was finally back in the dance studio, exactly 5 months after the surgery. I'm happy to say that almost 6 months later, I'm close to a full recovery and although I do still have pain and it isn't always easy or the same as it was, I'm proud of staying as strong as humanly possible and fighting for what I wanted back - dance! 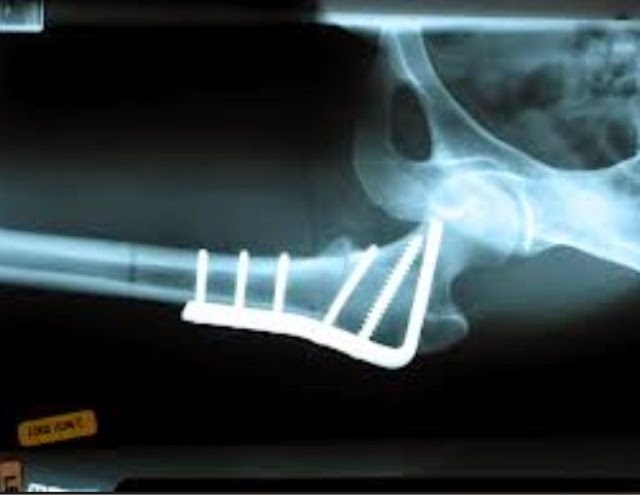 In February half term, the metal plate that is holding my healing bone together will hopefully be getting taken out and I'll be able to jump, leap and turn to my hearts content - and not having to worry about arthritis at 16! If you've read this far, thankyou very much for sharing this experience and hopefully you're a little more in the know about it all, and it just proves that you can overcome anything thrown your way - sacrificing 6 months of dance training now will be worth it now that I will be able to comfortably dance into the next 20-30 years of my life! Who did your surgery? My daughter need this surgery but the 3 doctors ,I have spoken to have said they have only preformed the surgery less than 2 or 3 times. I want a doctor with experience with the procedure. You want Robert Buly, M.D. at Hospital for Special Surgery, in NYC, to do the surgery if, indeed, surgery is mandated. There is no one better or more experienced. I also had this surgery done 5 months ago and I'm still on a crutch! They turned my leg outward 35 degrees because it was having a lot of pain in my hip joint. I had an ultrasound today that showed a fluid build up between my plate and the bone because the IT band is snapping over the plate. I still can't waling properly :( I am so discouraged and the inflamation from the fluid build up is painful and my 7 inch scar and down my knee is always sore. I start back at work in a couple days with a walking pole and I'm a hairstylist so I will see how it goes. I hope things get better ! I had the same surgery done beginning of August this year. I use to be an SA athlete and now I have been told I will never run again. At the moment I am going through a very hard time with rehab. I think I may have tried to do too much to quickly and I have constant burning pain. It is so frustrating because all I want to do is exercise and get back to some level of normalcy. Did you have any of these set backs during recovery? Hello. My son's is 13 and his doctor wants to do the same procedure on his right hip. My son had it done on the left as well as hip surgery and was in a Spica cast for 7 weeks. I was hoping you could give me your opinion. My son does not have any pain. The Dr wants to do this procedure to prolong/eliminate arthritis. The surgery would be completely preventive. If you had the choice would you have done the surgery when you were younger if you had had the option? I found your blog after googling about the surgery since I am having it in two weeks. Did they give you the option of a plate vs. a rod? If so, why did you pick plate over rod? Very curious since I am still deciding on which I want. Thanks! I don't know if you have gone ahead and had your son have the surgery yet. However, I had this initial surgery at age 7 yrs and I am only just now aged 50 having surgical revision. 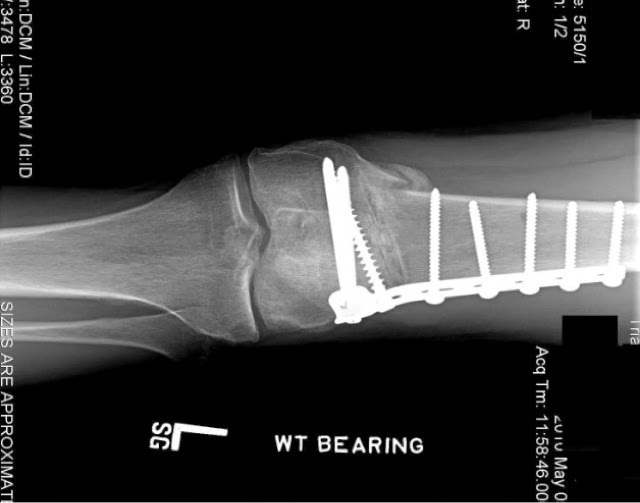 The original operation lasted 43 years and I was free from arthritis all that time. From experience would go ahead and have the surgery.